I have had the pleasure of knowing Lance Van Grouw since the second grade when he and my son Brandon became friends. It was a joy watching Lance grow up — always with a smile on his face, a positive attitude, a kind word to say and amazing athletic ability. I was naturally devastated then last August when Brandon called to say that Lance had suffered a spinal cord injury (C-5) while slip n’ sliding with his friends. Many of you have been touched by Lance’s story as well. You may know him personally or you may have heard his story from someone who does. Maybe you have followed the family’s updates over the past year on care pages —www.carepages.com The Van Grouw family is so humbled and thankful for the amazing support that they have received over the past year. God has blessed them in countless ways in the midst of this life- changing tragedy. 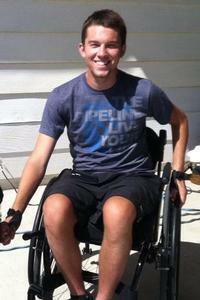 Physical therapy options for quadriplegics are limited in the Central Valley. 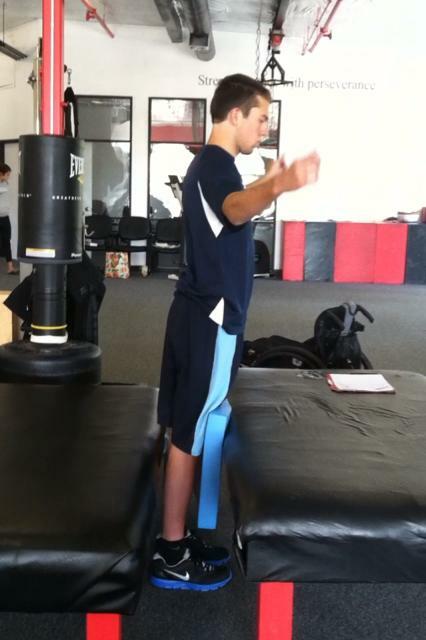 After extensive research into best options for rehabilitation, the family was led to SCI-FIT in Pleasanton, CA. For several months Lance, and most often Lisa, made the trip up to SCI-FIT two/three days a week. This has led to many amazing things including Lance taking some steps unassisted. With these encouraging results, the family recently made the decision that Lance should attend therapy five-days a week. Of course, this will require Lance and Lisa to stay in the area four nights. Even with insurance, Lance faces many uninsured, injury-related expenses such as: co-pays and deductibles, doctor visits, medical supplies, home modifications and an accessible van, along with travel and lodging while at SCI-FIT which is in addition to the actual cost of these therapy sessions. Many of you have asked over the past year if there was a way that you could contribute financially to Lance and his recovery process. To assist with these uninsured expenses, a fundraising campaign in Lance’s honor has been established with HelpHOPELive (formerly NTAF), a nonprofit organization that has been assisting the transplant community for nearly 30 years. In 2000, they expanded their mission to include those who have sustained a catastrophic injury. All contributions are tax-deductible, are held by HelpHOPELive in the Southwest Spinal Cord Injury Fund, and are administered by HelpHOPELive for injury-related expenses only. Please consider making a donation:Continue to join us in prayer as we look forward to what God has planned for Lance. If you have any questions please feel free to contact me. Also, please pass along this information to anyone who may be interested in supporting Lance through financial gifts or prayer. Hi lance, my name is Doug, Blake garrisons dad. When you first had your accident there were some wrist bands that were handed out. I got one and started wearing it on my wrist. I still have it on my wrist and have never taken it off. I pray for you all the time. I hope you are doing well, I will continue to pray for Gods healing in your life. He is a good God! Love ya bro!